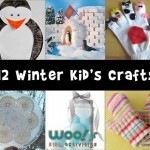 All the credit for this cool snowflake craft idea goes to the author of Ten Kids and a Dog. 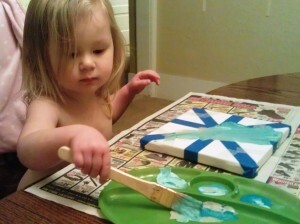 I saw it and just knew we had to try it with some canvases we had that didn’t get used for their original purpose. We made four of them altogether. Three of them (one by each of the big girls, and one by me) will be a Christmas present for my mom. On the fourth, we added quotes from my daughter about why she loves her teacher. 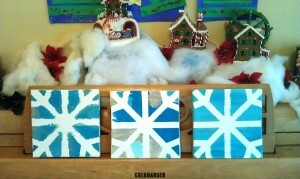 Lay the canvas down and use the tape to make a snowflake pattern like the one in the picture. It’s basically an X with an extra horizontal stripe through the middle. 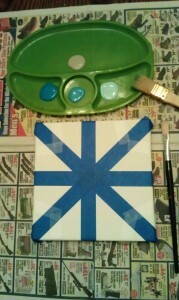 Then add small pieces of tape at the corners. 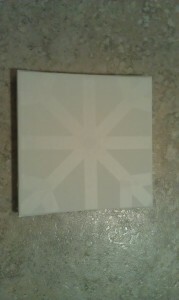 We ran out of clear tape part way through the project and decided to try to make a snowflake with painter’s tape. As you’ll see below, it had a different look when it was finished. 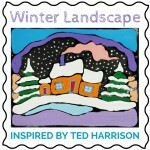 Pick some nice winter colors. 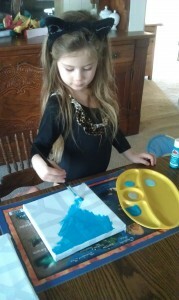 We went with three shades of blue and one light gray. 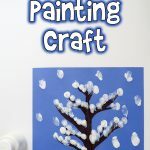 The kids can then just paint however they want all over the canvas and tape. 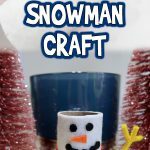 It’s so easy that it even makes a good toddler craft! 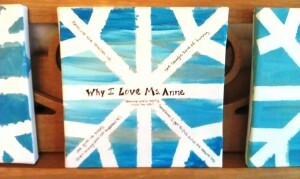 As a teacher gift, we added “Why I Love Ms. Anne” along with several quotes from my daughter! What a thoughtful teacher’s gift. 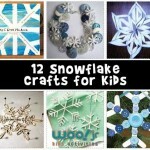 Adding the child’s comments on the snowflake was a wonderful idea! 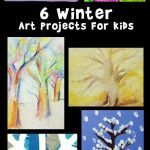 I will share this project with the teachers at our child care center. A good present for teachers!